I just read this article and thought you might want to give it a read, too. 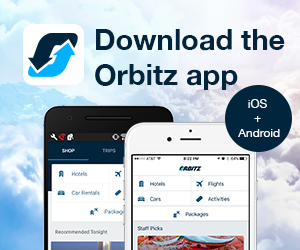 It\'s called The most unique hotels in all 50 states and you can find it here https://www.orbitz.com/blog/2018/07/the-most-unique-hotel-in-all-50-states/. 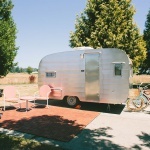 If you are seeking a truly one-of-a-kind getaway, these quirky, cool and just plain weird hotels in every US state guarantee a memorable stay. If you love being cradled gently to sleep, the floating cabins on Lake Guntersville are the perfect accommodation. Each cabin comes with its own dock, perfect for fishing, but also great for sunning or taking a swim. 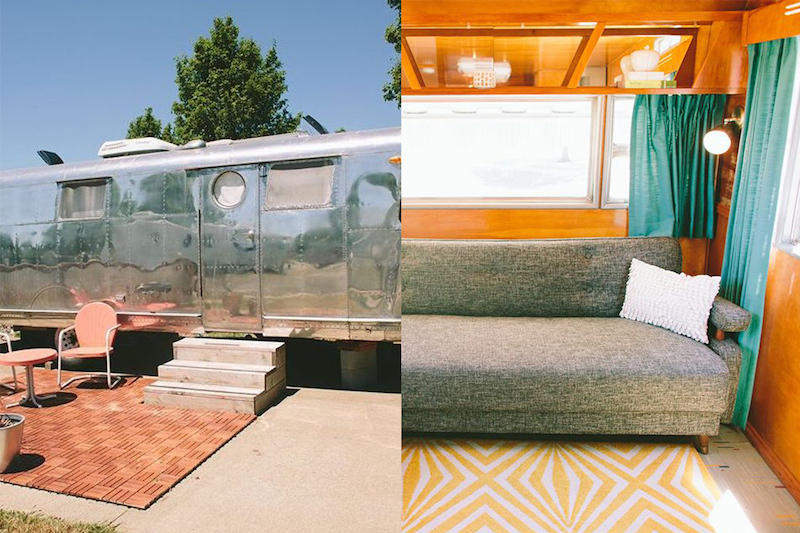 The best hotel stays should be as comfortable as a visit to your grandma’s house. The Best Western Grandma’s Feather Bed in Juneau is just that. 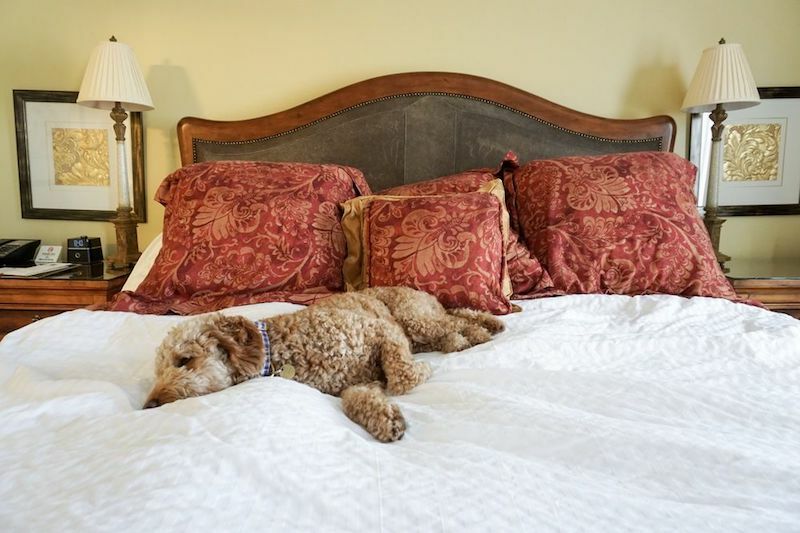 The 14 rooms are set within a Victorian farmhouse and each is designed to be as cozy and familiar as grandma’s house (think sleigh beds, quilts and frilly dust ruffles) and there’s cooked-to-order breakfast each morning. In keeping with its educational days, every room at the Schoolhouse Inn Bed and Breakfast near Bisbee boasts an educational theme. Everyone loves the Principal’s Office Suite; there’s also the Art Room, Geography Room, and many more! School House Inn is a historic brick school built in 1918 at the peak of Bisbee’s mining days. 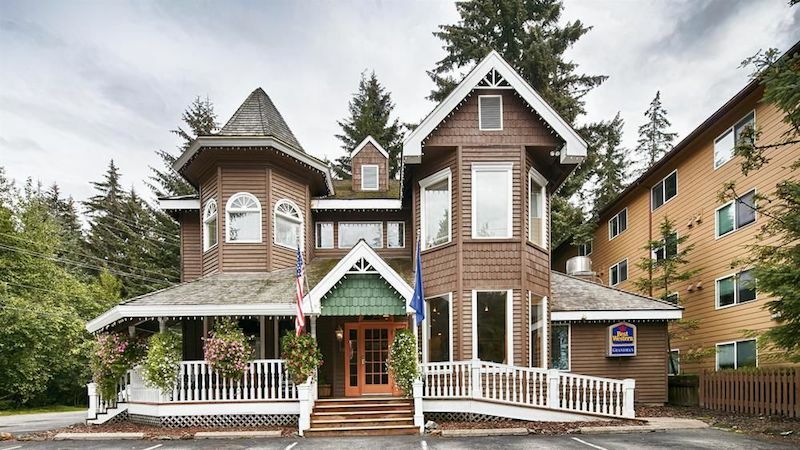 It was converted to apartments in the late ’30s and in 1989, it became a bed and breakfast. The Basin Park Hotel in Eureka Springs (which itself is unique) is built into the side of a mountain which means that every floor is technically a ground floor. The property is said to be haunted (as are other hotels around town) and because charming Eureka Springs is somewhat of a honeymoon destination, the jacuzzi suites all have hot tubs sitting smack in the middle of the room! Located in the heart of Sonoma Wine Country, sits Safari West, is the closest you can come to an African safari lodge without taking a 20-hour flight. Discover a 400-acre wilderness with more than 900 animals representing 90 different species roaming across some of the largest enclosures in the country. 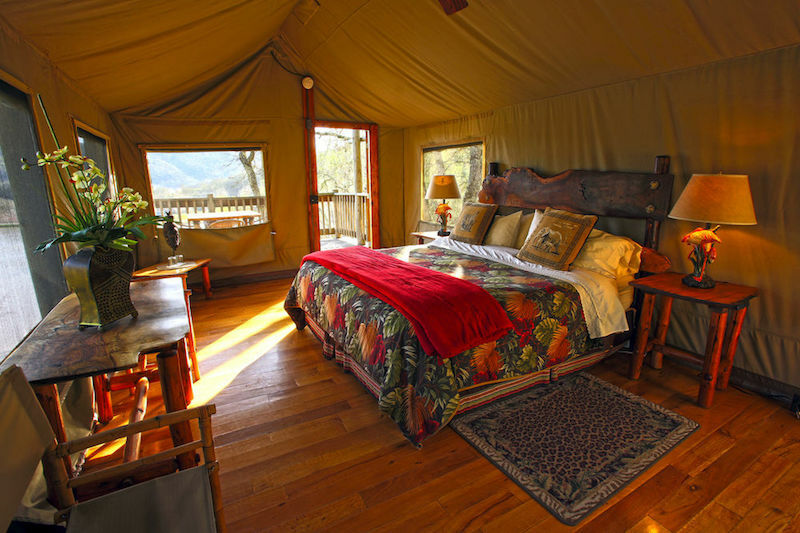 Each of the thirty tents sports a private viewing deck, en-suite bathroom, polished hardwood floors, and because it’s camping, all the wildlife sounds of the “Sonoma Serengeti.” Of course, if it’s a true Golden State oddity you seek, try the Madonna Inn. This kitschy Central Coast gem is painted head to toe in loud pink and offers hilarious theme rooms. 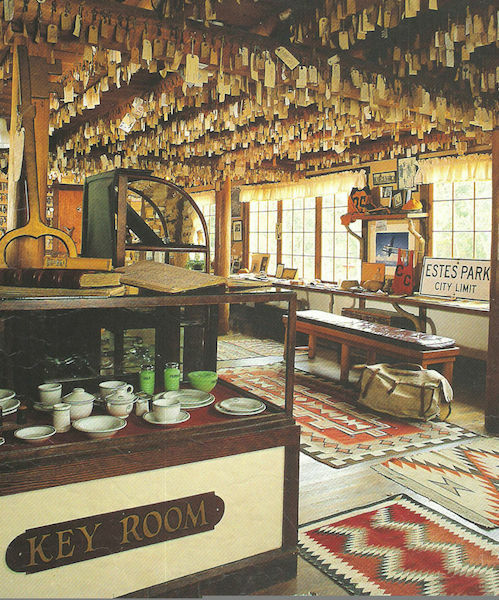 Baldpate Inn in Estes Park, Colorado was named after the mystery novel, “Seven Keys to Baldpate,” by Earl Derr Biggers and is home to more than 20,000 keys from around the world, including the Pentagon, Westminster Abbey and even Frankenstein’s Castle. Just like the book, the hotel would hand out keys to guests until the price of metal became too expensive during World War I. Guests decided to change the tradition and instead began bringing the hotel a key each time they visited, resulting in the world’s largest key collection. 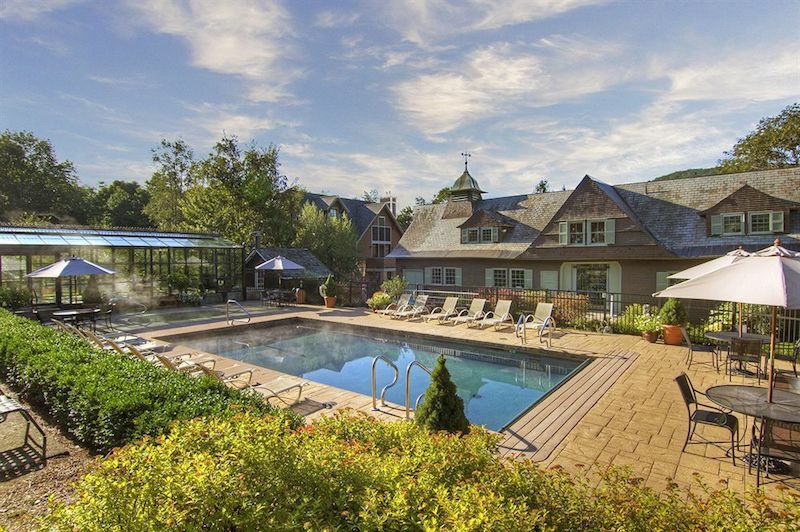 Homestead Inn in Greenwich’s quirky factor is found in its landscaped gardens which feature dramatic outdoor sculptures, the quirkiest being a larger-than-life Hippo Ballerina! Each of the Inn’s 18 chambers are individually designed and display an eclectic collection of art and décor. Built in 1799, Homestead Inn was originally a farmhouse and passed through several owners before being renovated as a boutique hotel. The Brick Hotel in Georgetown is in a building that’s withstood the Civil War, and each room is inspired by the history of all the incarnations the building has had over the years, like a banker’s chamber, a mayor’s quarters and more. 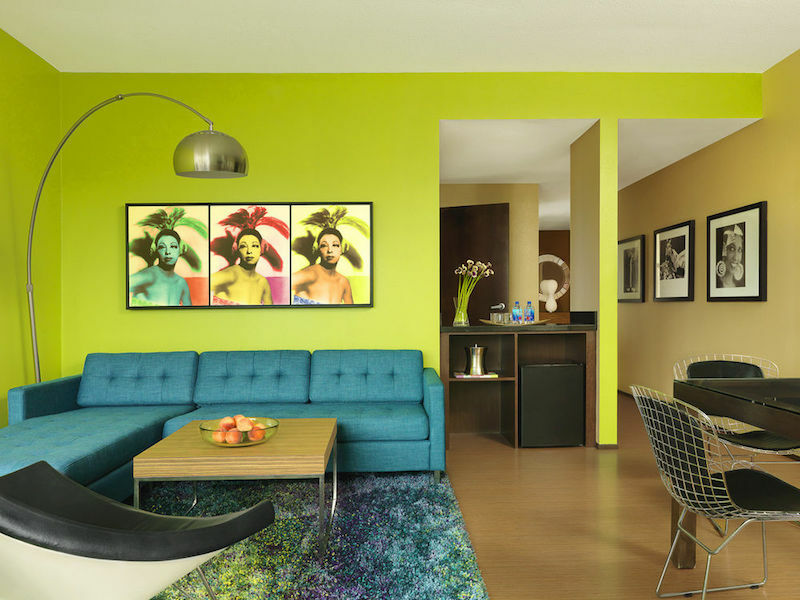 Art Ovation Hotel in Sarasota is the perfect escape for a quirky and fun getaway. The 162-room boutique hotel offers unique programs such as rooftop ukulele lessons, in-room instruments for jam sessions, origami lessons, opportunities to practice art with established artists in the hotel’s STUDIO, and the “Project Sketchbook” program which encourages guests to fill in-room notebooks with creative material such as musical lyrics, journal entries and drawings all left for the next guests to enjoy. 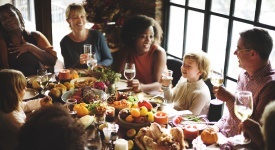 Guests will also be able to enjoy surprise pop-up performances such as unique dances, monologues and poetry readings. Barnsley Resort in Adairsville is designed like a 19th-century European village, and, according to the hotel’s website, it’s on land that had once been inhabited by the Cherokee Native Americans. Volcano Mist Cottage in (well, of course) Volcano may sound perilous based on its name but you’ll find lush outdoor showers and hot tubs encased in pagodas. Of course, you ARE near a volcano, so that adds an air of danger and intrigue to even the most pristine of lodging. Anniversary Inn in Boise features 40 suites, each one with a different theme. 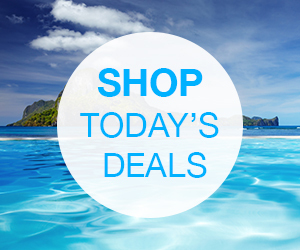 So whether guests are looking for exotic adventures like Hawaiian Paradise or Sultan’s Palace, to more local flair like Sun Valley, Oregon Trail or Bronco Nights (for the beloved Boise State University football team), the Anniversary Inn has something for everyone. If you have a thing for the classics, the Old Chicago Inn in Lincoln Park is right out of the 1920s. Guests are given a unique password upon check in, which can be used to enter an actual working speakeasy in Room 13! Tipi Village at Rawhide Ranch in Nashville, Indiana (yes, there’s one in the Hoosier State, too!) has two 20-foot tipis available for rent, as well as a private firepit inside the tipi, and a communal fire pit outside it. Hotel Grinnell is a former junior high school that was constructed in 1921 and later converted into a 45-room hotel in downtown Grinnell. The school gymnasium and auditorium were transformed into a ballroom and performance venue while the cafeteria became two hostel-style bunk rooms. A bar and restaurant, The Periodic Table, occupies the former locker rooms. 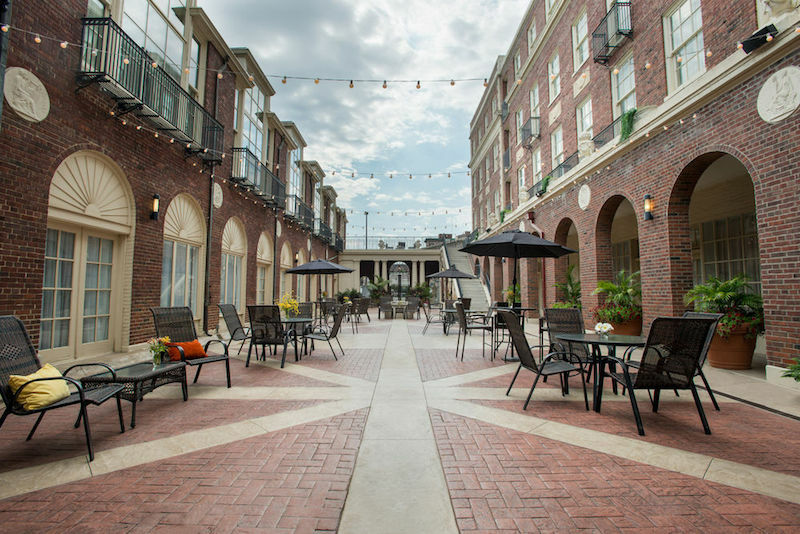 Southmoreland on the Plaza is a 12-room urban retreat in the middle of busy Kansas City. 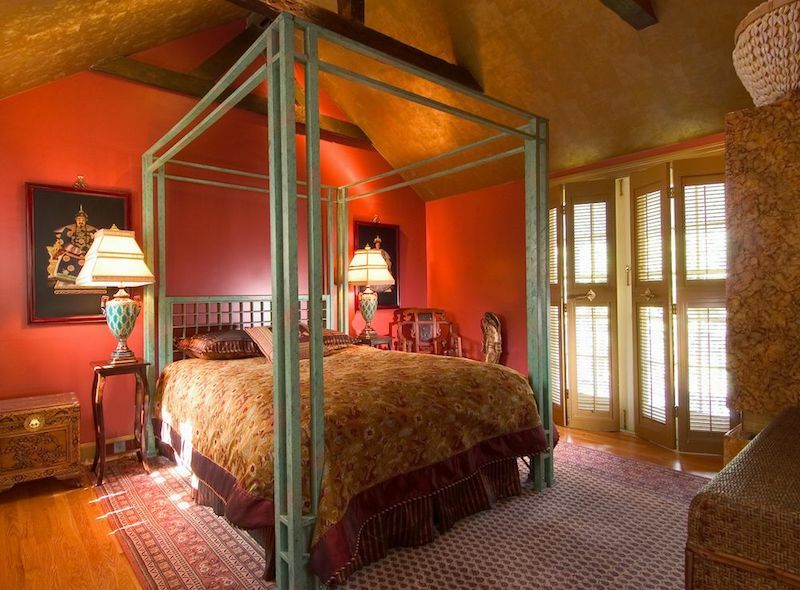 Each room is designed as a tribute to famous people from Kansas City, like Clara and Russell Stover, of the famous chocolate family or artist Thomas Hart Benton. 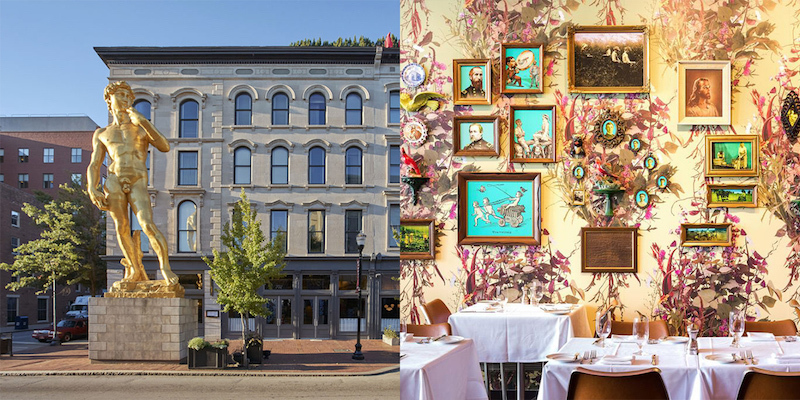 The 21c Museum Hotel in Louisville is the first of all the 21c properties and has been a staple of Louisville’s Museum Row for the past decade. Before you even enter the hotel’s doors you may notice a double-sized, all-gold statue of David, inspired by Michelangelo’s famous marble statue. The 30-foot-tall art piece sets the tone for the rest of this contemporary 91-room boutique art gallery turned hotel featuring all kinds of innovative and interactive art reflecting the global nature of contemporary culture. Creole Gardens Guesthouse in New Orleans is a funky and eclectic group of accommodations: Not only is the whole thing painted in Miami Beach-style pastels, but it’s also allegedly a haunted hotel and 100% pet friendly. You could seriously show up with 30 parakeets and they would find a way to accommodate you. 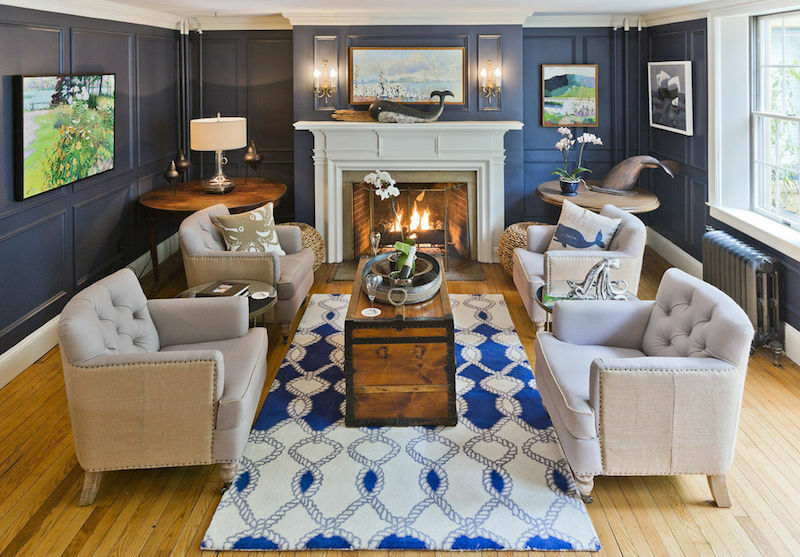 The Lindsey Hotel in Rockland, Maine was built as a sea captain’s house in 1835 and the rooms all have a nautical-themed design. 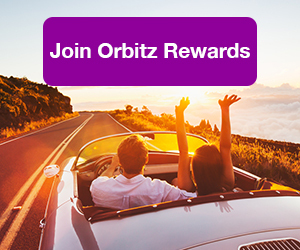 ALSO: We can’t state it enough: Joining Orbitz Rewards will save you money! The exterior of the Residence Inn in Aberdeen, Maryland was constructed to look like the warehouse in Baltimore that forms one side of Oriole Park at Camden Yards. While odd sounding at first, since Aberdeen is approximately 40 miles away from the stadium, it becomes clearer when you understand that the Residence Inn was built adjacent to the Aberdeen Ironbirds baseball stadium and built by former Oriole players and brothers Cal and Billy Ripken who both grew up in Aberdeen! 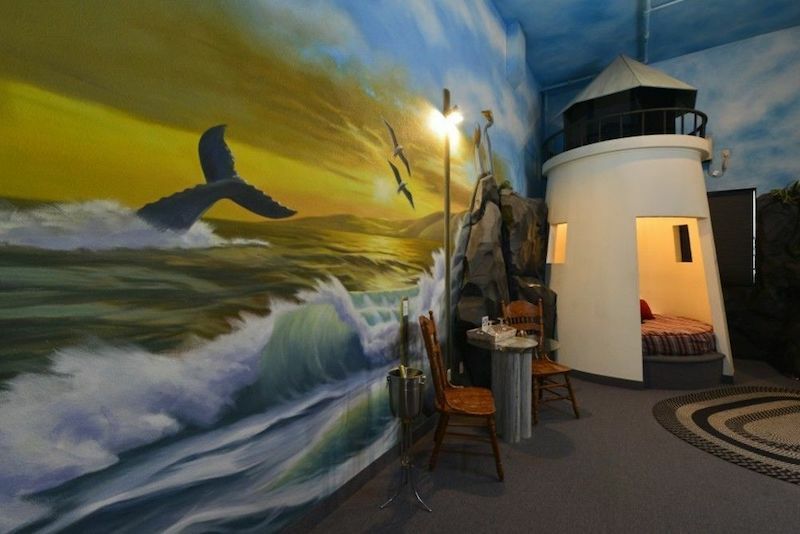 Want to spend your vacation behind bars? 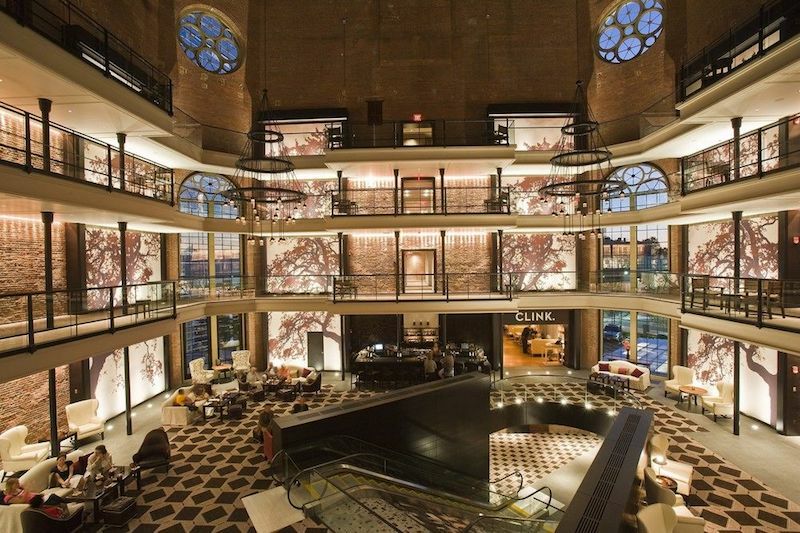 At Boston’s Liberty Hotel, guests do just that. Once the Charles Street Jail, this national historic landmark dating back to 1851 offers 298 rooms and suites with views of Boston and the Charles River. Exposed brick and original iron gates evoke its penitentiary past. The name of the hotel’s bar? Clink, of course. Detroit may just be the king of cities with historic buildings just waiting to be repurposed. Enter the Siren Hotel, a downtown stunner set within the old Wurlitzer Building (of Wurlitzer organ fame) and now vaunting a Parisian speakeasy vibe throughout. We’re in love with the guestrooms (think Old Europe reimagined for the 21st century) then there’s 8-seat restaurant Albena, pink cocktail lounge Candy Bar, an old-timey barbershop, florist and all-day restaurant Karl’s featuring, you guessed it, a Wurlitzer jukebox. Stone Mill Hotel & Suites is an adorable B&B in Rochester featuring tons of quirky character. 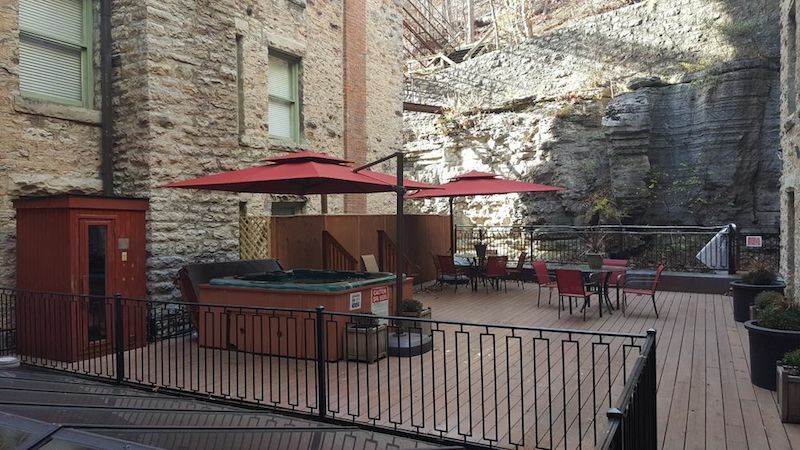 Housed in a nineteenth-century stone building that was once a feed storage facility, themed rooms include the Buffalo Bill Suite and Bunkhouse, the Amish Room and the Egg Jacuzzi Suite and Hen House among others. 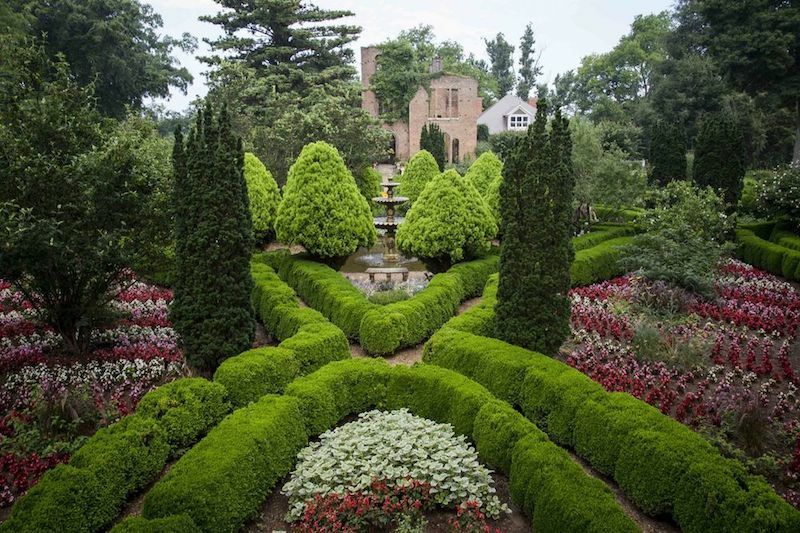 The Monmouth Historic Inn is housed in a building dating back to the 1800s, and sits on 26 acres. 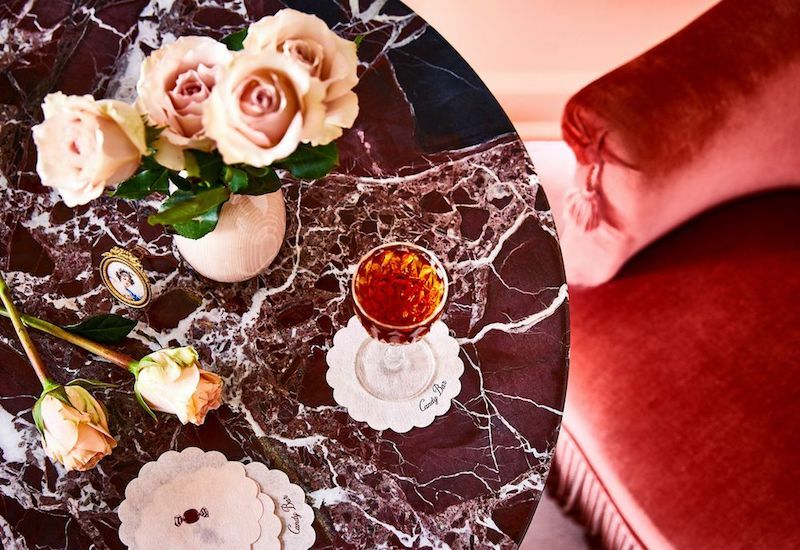 Its history is reflected in the antebellum décor, Southern breakfasts and rooms that look like a step back to another century. Moonrise Hotel in St. Louis is out of this world—literally! It’s outer-space themed, complete with a really cool rainbow stairway and an otherworldly rooftop terrace. Few visit Billings (the largest city in Montana) for a nature retreat, but you’ll find just that at the C’mon Inn Hotel, where there’s a two story waterfall in the lobby surrounded by four hot tubs! There’s also an enclosed courtyard, koi pond and many of the upstairs rooms have balconies with patio furniture facing the koi pond. Magnolia Hotel in Omaha was formerly the Aquila Court Building, built by Chester Cook in 1923. The structure was designed to mimic the Bargello, a palace in Florence, Italy, in homage to Chester’s grandfather Aquila. Named to the National Register of Historic Places in 1974, the faces of George and Aquila Cook can still be seen on the front of the boutique hotel’s building today. The Circus Circus Reno in Reno is a fun and quirky 1,620- room resort and casino that is circus themed through and through. 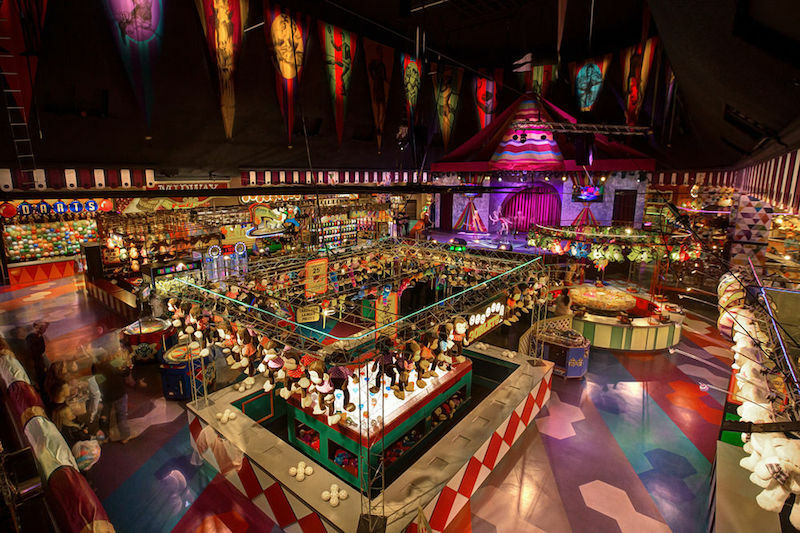 It’s weirdest feature is the Midway, a massive arcade and carnival-themed area, providing guests of all ages with classics like ski ball, Whack-a-Mole and air hockey plus carnival games. The resort also offers circus shows for entertainment, and its rooms are decked out in lively colors with circus-themed prints on the walls. Sure, there’s a Vegas version, but the Circus Circus Reno has a better location. The Centennial is an old mansion whose19th-century Victorian facade resembles the Munsters house! The Centennial first opened in 1876 as group home for less-fortunate, elderly people and has since been converted into a modern boutique hotel that also happens to sit right in front of a former insane asylum. The turret guest rooms include a separate sitting area and balcony. 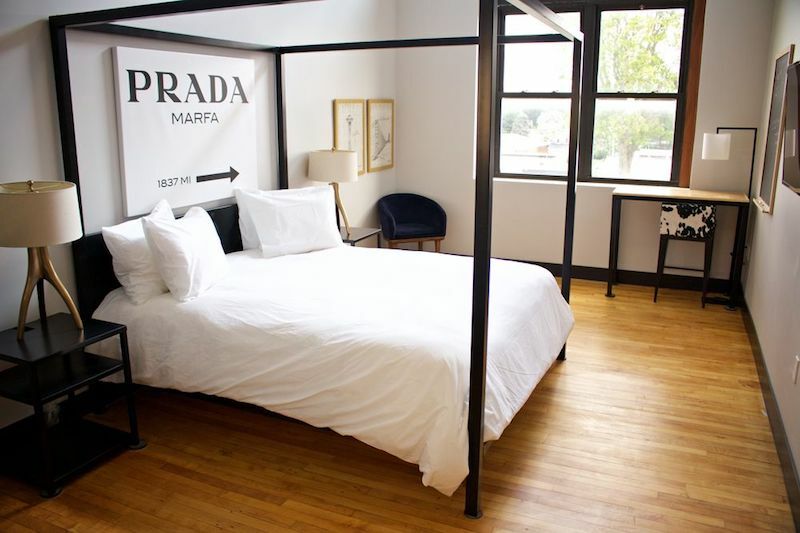 The beach-chic lodging of our dreams, the Bungalow Hotel in Long Branch (about 90 minutes south of New York City) is a design-lovers gem of a hotel featuring quirky cool guestrooms and playful common areas designed with a wicked fun sense of style and humor. 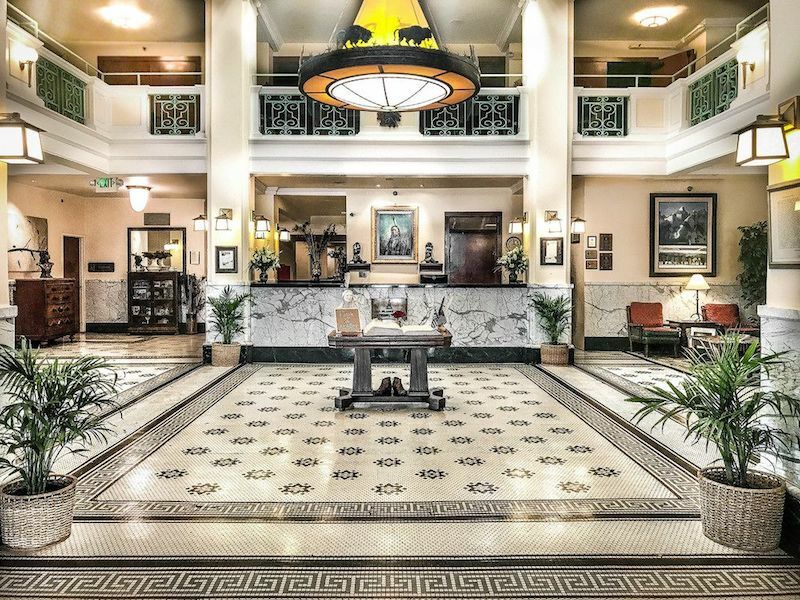 Hotel Parq Central in Albuquerque is a former hospital and psychiatric facility built in the 1920s, and now a boutique hotel located in the historic Downtown area and listed on the National Register of Historic Places. 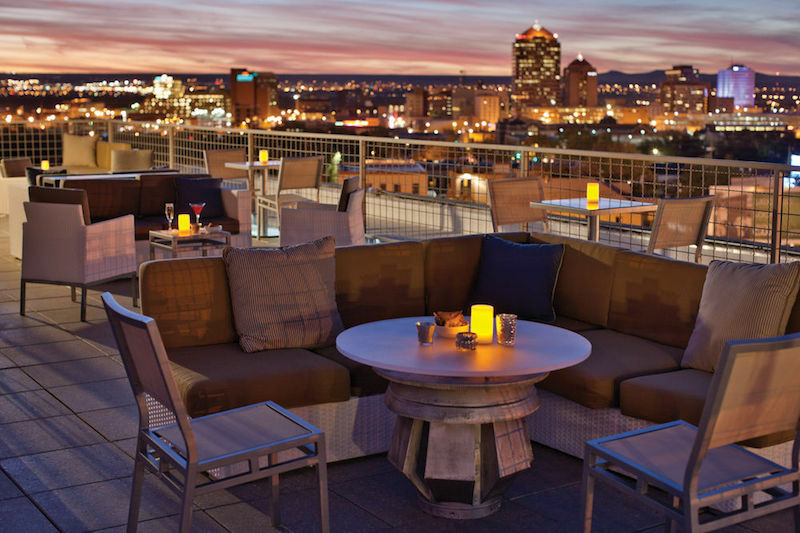 The 74-room property’s quirkiest feature is surely the rooftop bar and patio called “Apothecary Lounge,” where the bar glitters with vintage apothecary bottles. The robots are coming! At futuristic Yotel in Hell’s Kitchen, machines manage the check in/out process and luggage is handled by a robot concierge. By the way, the $40 rooftop brunch featuring unlimited booze is obscenely fun and popular. 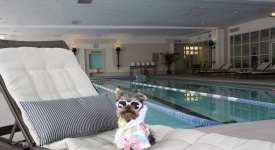 The luxury Omni Grove Park Inn in Asheville may not look weird, but it acts like it. The Inn partners with a touring company, No Taste Like Home, to introduce guests to wild edibles growing within a couple hundred yards of the hotel, which the hotel restaurant then prepares and serves guests for dinner. The Dakotah Rose Bed and Breakfast in Minot is built in a century-old home and full of romance and hospitality. The wine is flowing and there’s always something sweet baking in the oven. 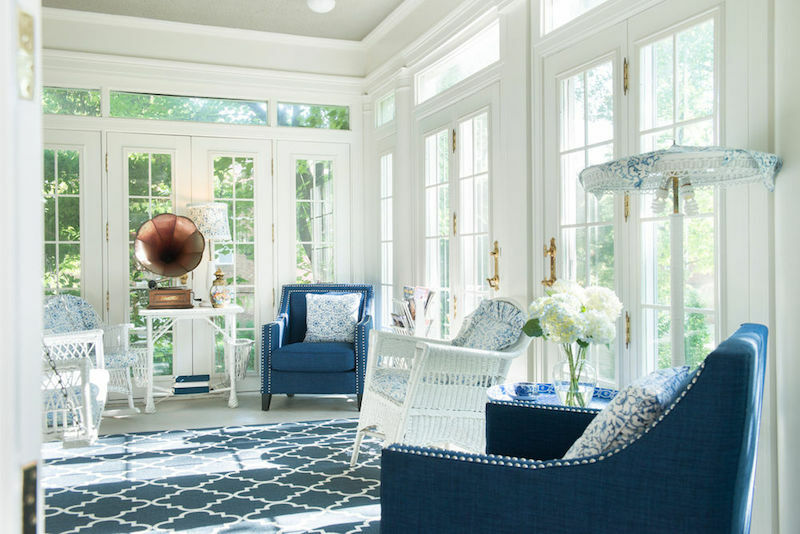 There’s only four rooms though and everything is done with an eclectic, classic feel. You may just think those innkeepers, too, have been doing this for the entire century the home has stood there. Vampires?! Landoll’s Mohican Castle in Loudonville might look historic, but it was actually build in the 1990s. It still is a castle-like fortress in the middle of Ohio though and it has some modern celebrity associated with it: Gordon Ramsey featured the hotel restaurant on his program “Hotel Hell” a few years ago and they got a cult following after the episode! How’s that for dubious celebrity? 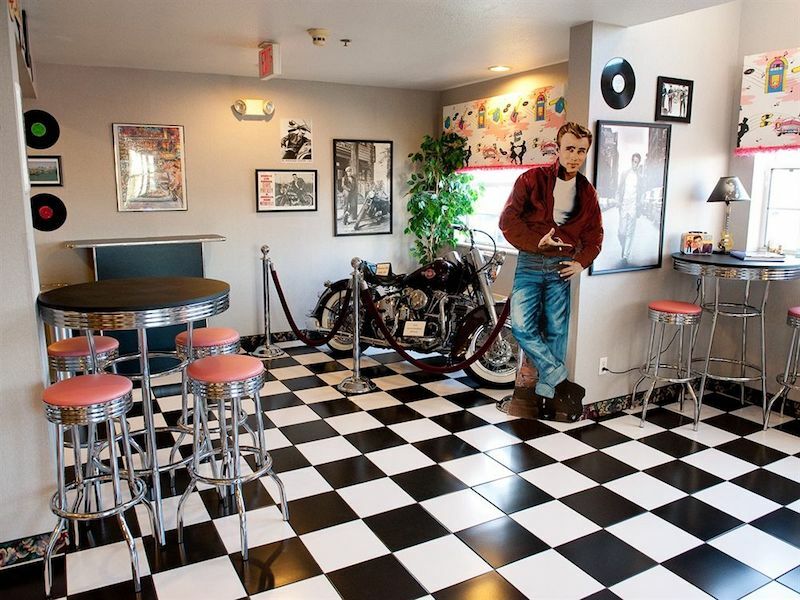 Your kitschiest fantasies of the 1950s spring vividly to life at the Happy Days Hotel, a retro accommodation littered with old LPs, pictures of James Dean, Elvis Presley and Marilyn Monroe and memorabilia galore. There’s a ’50s diner on site and be on the lookout for vintage room touches like I Love Lucy shower curtains. 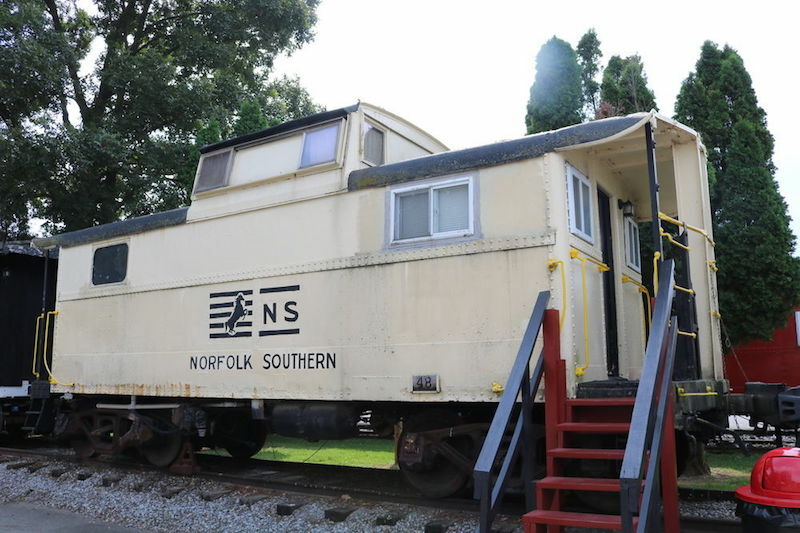 Red Caboose Motel, near Amish country, is comprised of 38 sleeper train cars, and even a dining car said to have some pretty solid food. There’s even an on-site petting zoo! Recently opened Firehouse Inn is Newport’s newest boutique bed and breakfast inn and was formerly the 1888 Newport Fire Station. The Queen-Anne style structure, originally occupied by Newport Fire Department’s Hose Co. #6, recently underwent an extensive renovation to preserve the building’s features and offer guests a brand new (and historic) way to stay in town. The Inn is conveniently located within walking distance of Newport’s waterfront, shops, restaurants, mansions and more. If everyone in the public spaces at The Vendue in Charleston seem transfixed, it’s because they’re staring at artwork. 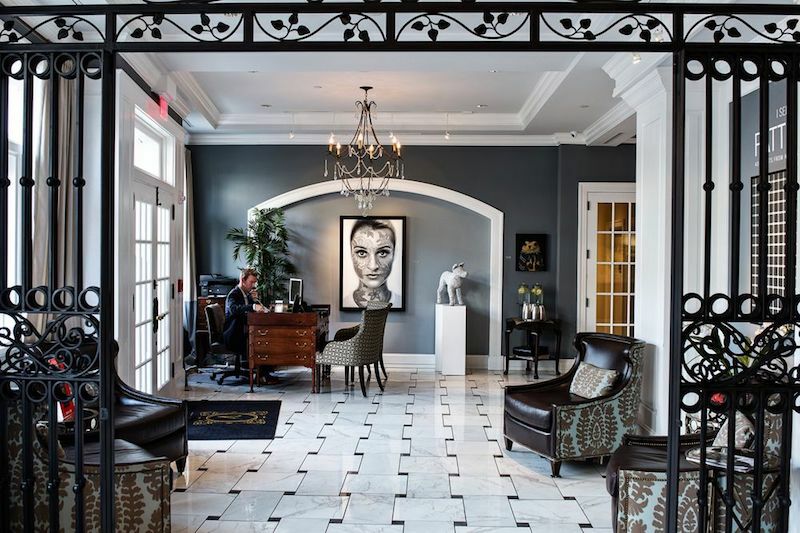 The city’s only designated art hotel, the Vendue rotates out 2-3 exhibitions annually, plus all corridors and Gallery Rooms feature works of art. The property is partially contained within five warehouses dating back to 1780 that have been combined to form one hotel. The Hotel Alex Johnson in South Dakota is a beautiful classic hotel done in German Tudor-style that just happens to have a deep and long history of being haunted. That’s not all, six presidents have slept here and rooftop bar and restaurant Vertex is members only. But don’t worry, if you’re a guest of the hotel you count as a member during your stay. 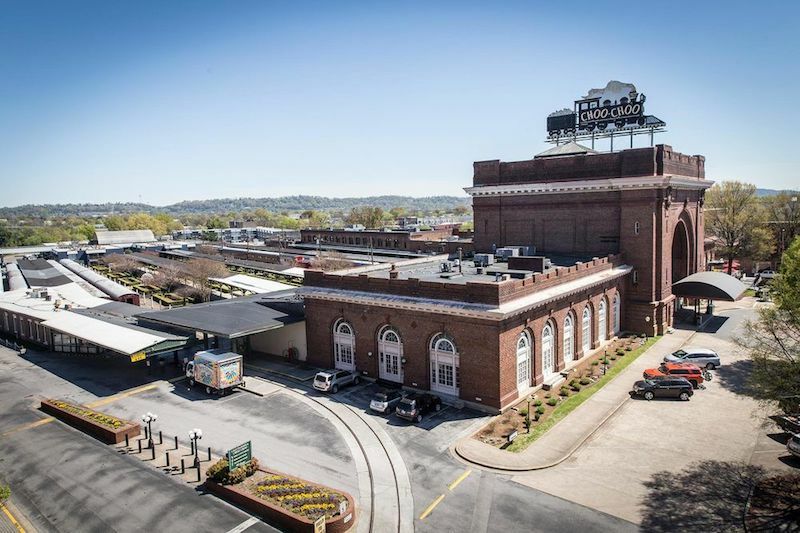 One of the coolest of hotels, Chattanooga Choo Choo in (well) Chattanooga Terminal Station is an old train station converted into a hotel, and guests can stay in old sleeper cars. The restaurant is the old baggage claim terminal! How wild is that? 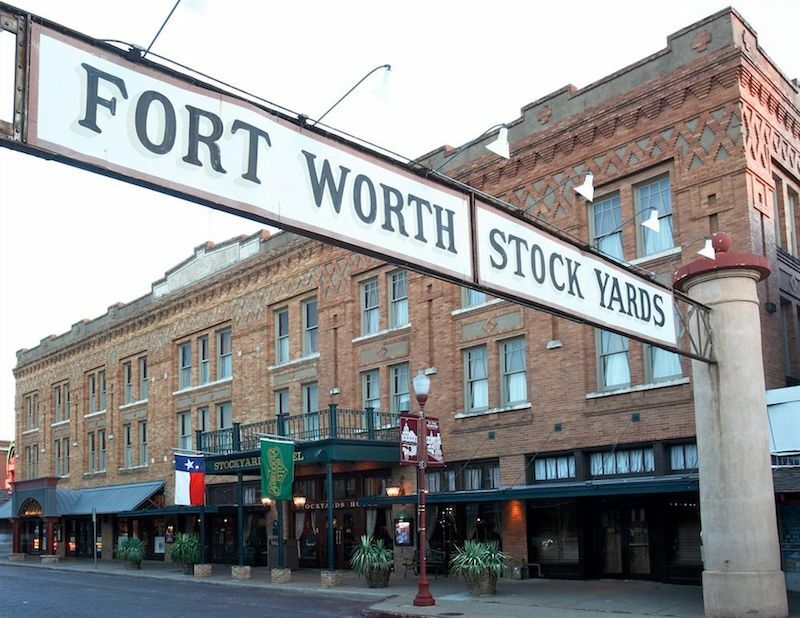 The Stockyards Hotel in Fort Worth is a boutique hotel in the historic Stockyards offering guests Western-themed rooms, such as The Bonnie and Clyde Suite, where Bonnie Parker and Clyde Barrow actually stayed in 1933, features themed artifacts such as Bonnie’s .38 revolver and lamps made of spurs and horseshoes. Meanwhile, the Butch Cassidy Suite includes decorative touches like Butch Cassidy and the Sundance Kid posters and a gaming table with steerhide-covered chairs. Ultra-luxurious Amangiri in Lake Powell is right in the middle of an untouched desert canyon, and it’s pretty (well) deserted. It’s a long walk down a dusty road to the nearest town, but makes for great hiking and really, if you are in a gorgeous, five-star spa resort, why do you need other places to go anyway? Castle Hill Resort in Cavendish was purchased in 1897 and built to be an English Cotswold-style castle. 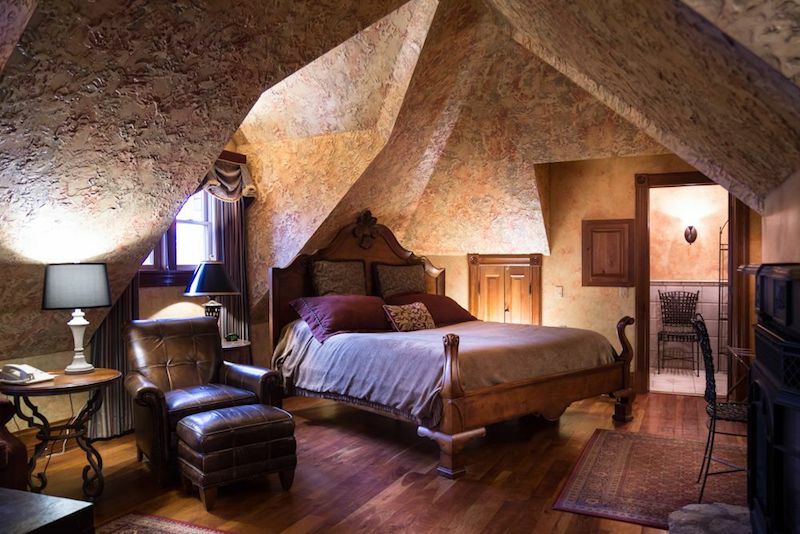 While staying in a castle in Vermont is weird (and awesome) enough, it’s also built entirely of locally sourced stone! The Berry Hill Resort in South Boston is a former ante-bellum plantation founded in 1728, and is now a hotel that preserves a lot of that plantation’s history via antique decor and period furniture, but it has the modern conveniences you really need (like WiFi!). Just above the Columbia River, Cave B Inn & Spa is gorgeous, and unique: It’s bordered by vineyards and their Cavern Rooms include a basalt rock cave entrance! The Blennerhasset in Parkersburg is a historic property that has been around for over 100 years. Yep, it’s haunted. 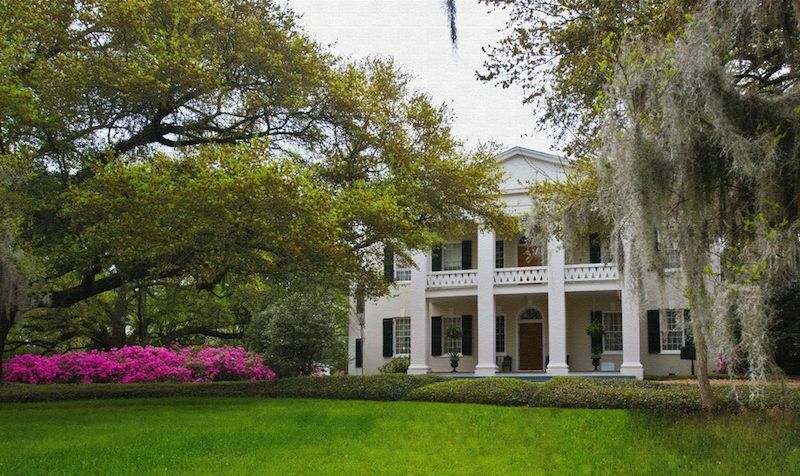 Enjoy all the features and charm of a classic property, but with modern amenities. 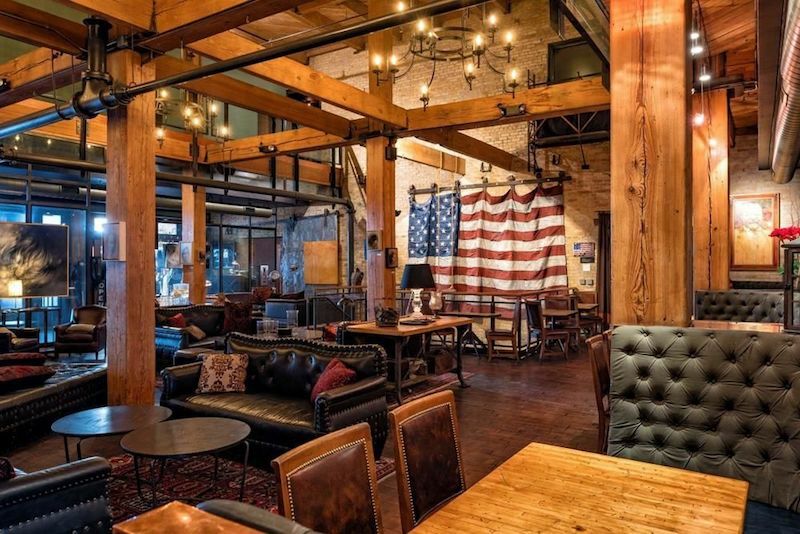 The Iron Horse Hotel in Milwaukee is located in a converted downtown warehouse, and the industrial feel of the old has been modernized, with a lot of the old flavor remaining, including fun features like exposed brick walls, metal piping and pine beams, along with light fixtures made of motorcycle gears. Can’t get enough motorcycles? It’s also blocks from the Harley Davidson museum. The Historic Plains Hotel in Cheyenne, Wyoming has been a fixture in Cheyenne for more than a century, first catering to Wyoming’s earliest captains of industry in 1911. The elegant accommodations were enjoyed equally by cattle barons and oil tycoons, as well as travelers on their way to Yellowstone and the Grand Tetons. Wild West touches abound and the stained glass ceiling in the lobby is downright gorgeous.